Pop rock anthems like 'Are You Old Enough' made Dragon stars in Australasia in the late 70s, but the band dissolved in 1980. In 1982 they reformed and a reunion tour saw them back in the spotlight. In this excerpt from a Shazam! special on music across the ditch, Phillip Schofield chats with band members Robert Taylor and Paul Hewson about their musical direction ("more keyboards") and the challenges of making it in Australia ("you’ve got to work hard"). 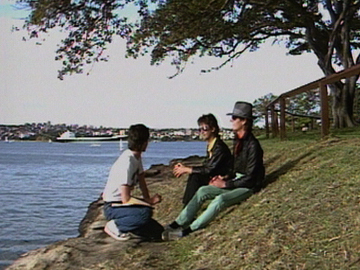 A clip from the video for hit single 'Rain', which peaked at number two on the Australian charts, concludes the story. It was the summer of 1970, six months after Woodstock; local media hyped this Phil Warren-promoted two-day music festival as New Zealand’s version. Despite promises of revolution, it was more low-key with 1500 music fans bussing out to the Swanson holiday park for — as MC Peter Sinclair introduced it — “36 hours of non stop top pops of New Zealand’s top bands”, from psych-rock to gospel. The big star was sometime Bee Gee Robin Gibb, whose high pitch was infamously welcomed with a thrown tomato. This footage was captured for TV by the NZ Broadcasting Corporation. This 1978 single marked the first number one for the Kiwi prog rockers turned Australian pop stars. It danced around the age of consent (the first line of the song gave the impression the narrator may be in jail). Later the song became the theme tune for 2012 Aussie TV show Puberty Blues. A time capsule of 70s Melbourne, the clip opens on singer Marc Hunter aimlessly wandering the city's streets and tramways, before transitioning to a glossier studio performance. Like many of the band's biggest hits, the song was written by Dragon's resident hook-writer, keyboardist Paul Hewson. ‘Still in Love With You’ dates from 1978's O Zambesi, the album that yielded Dragon ‘Are You Old Enough’, their first (and only) number one hit in Australia. 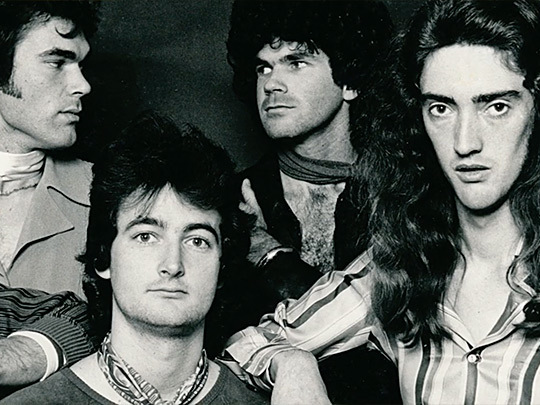 One of a series of hook-laden singles penned by keyboardist Paul Hewson, 'Still in Love' became another live staple for the Auckland prog-rockers turned Aussie pop stars. A straight down the line performance video shot against a white-washed studio, the video works thanks to the star power of lead singer Marc Hunter, who brings to the party all of his swagger, charisma and coiffed hair. The band bring their sunnies. 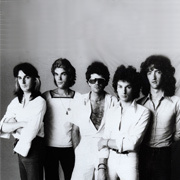 After the classic line-up of Sydney-based hitmakers Dragon reformed in 1982, the band found a new lease of life when anthemic single 'Rain' got to number two on the Australian charts (at a time of severe drought). 'Rain' was a departure — written by Todd Hunter and his wife Joanna Piggott, instead of Dragon's songwriter supreme Paul Hewson. The video offers more evidence of a new look, thanks to drummer Terry Chambers (fresh from XTC) and US keyboardist and producer Alan Mansfield. 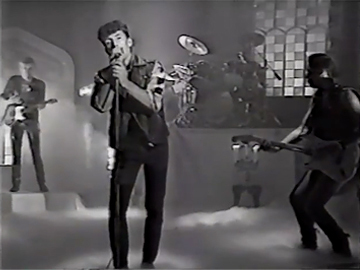 The video is one of three made for 'Rain' — the band rejected a post-apocalyptic version. Dragon formed in Auckland in 1972, led by Todd Hunter, who recruited his brother Marc Hunter shortly after. The band gained a profile with an appearance at 1973's Great Ngaruawahia Music Festival; after releasing two progressive rock albums, they shifted to Australia in 1975 and were signed to CBS by ex-pat Peter Dawkins. With songwriter-keyboardist Paul Hewson on board they shifted to a winning pop-rock formula, with Marc Hunter as charismatic lead singer. The hits included 'April Sun in Cuba' and 'Are You Old Enough'. Marc died in 1998 but the band continues to tour, with Kiwi Mark Williams on vocals. Following the demise of Pacific Funk band Big Sideways, vocalist Debbie Harwood launched a solo career with this cover of an Ashford and Simpson song written for Gladys Knight and the Pips. The single was dedicated to recently deceased Dragon keyboards player Paul Hewson, and it won Harwood a NZ Music Award (at a ceremony which provided the impetus for the formation of When the Cat’s Away). The video, produced by TVNZ at Avalon, is a straightforward studio performance, but is notable for the extended, two minute long tracking shot that comprises its second half.